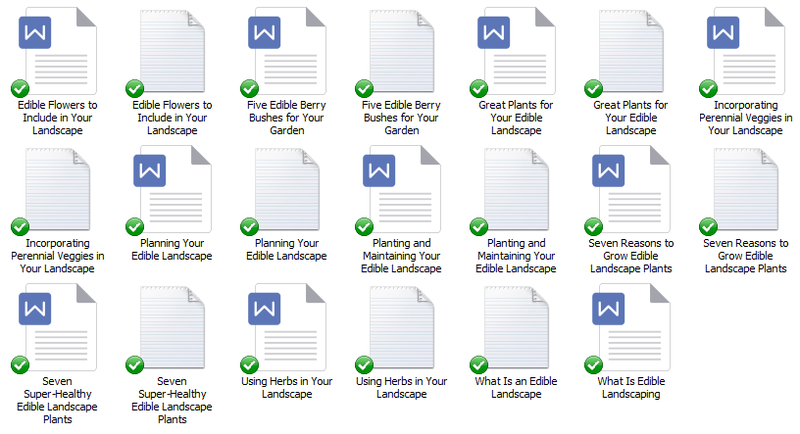 In this Edible Landscape Content Bundle – articles, a report compiled of the articles, keywords, social media blurbs, and royalty free images, you’ll be able to give your audience more information about edible garden. You can now learn how to grow and which best edible plants to grow. You will contain some knowledge on how to take care and maintain your edible garden. Giving them ideas about growing and common mistakes of growing will surely help your audience on having a healthy edible garden. The Edible Landscape Content Bundle will help you on which edible plants to grow, way to grow them and help you reason on why you should have an edible garden in the first place. 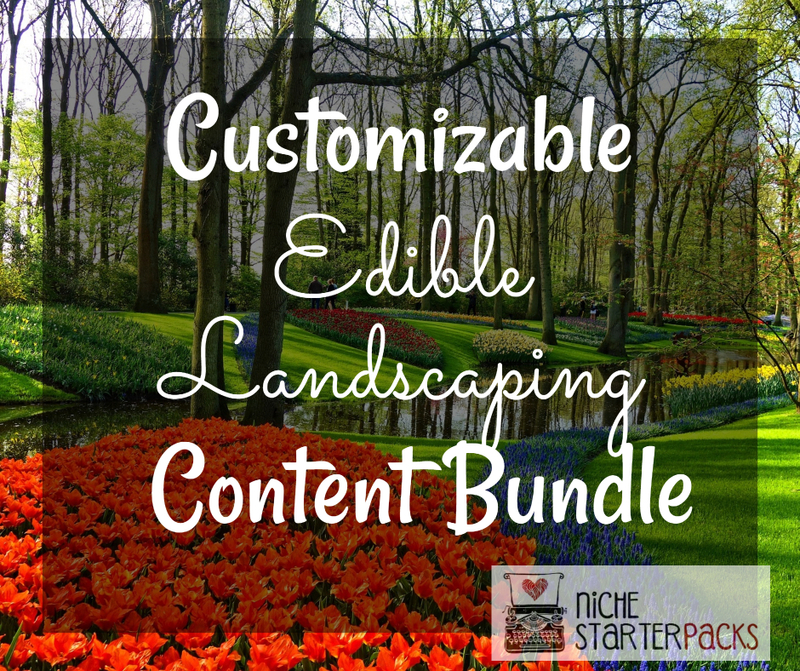 Customizable Edible Landscape Content Bundle (Report, Articles, social media blurbs, Keywords, and Royalty Free Images) – Get It All For $27! 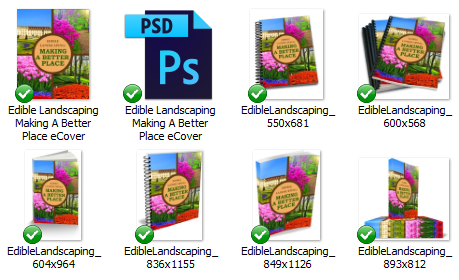 You’ll get a 21-Page report all about Edible Landscaping. This is a great opt-in because it talks about great things these Edible Landscaping can do. Use this report to grow your subscriber list. This section is where you’re going to follow up with everyone who signed up for the opt-in report. You’ll be able to provide them articles on ways that they can grow and what best plants to grow. 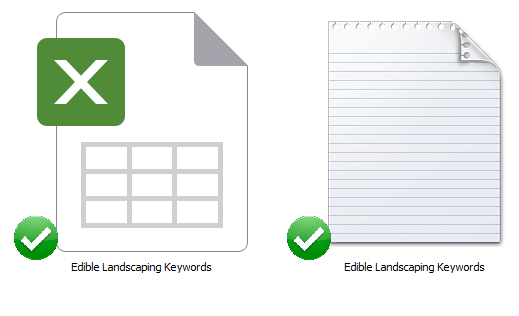 I’ve come up with 200 long tail keywords all related to edible landscape. You’ll find some of these are what people like to call low-hanging fruit keywords while others have more searches. But these are all high-targeted keywords that have the potential to easily get on the first page of search engines with. Search engine optimizing is important, so get a head start on this list. Images are expensive to purchase, so I’ve found royalty free images that you can use for the articles or inside the report. 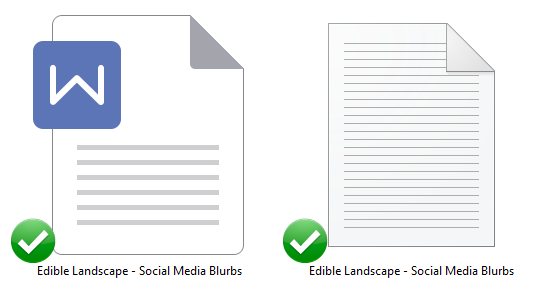 Edible Landscape Content Bundle (Report, Articles, social media blurbs, Keywords, and Royalty Free Images) – Get It All For $27!